Quotes made by Scott appear followed by quotes from others. “Accordingly, I must beg the President, at the earliest moment, to allow me to be placed upon the officer’s retired list, and then quietly to lay myself up-probably forever-somewhere in or about New York. 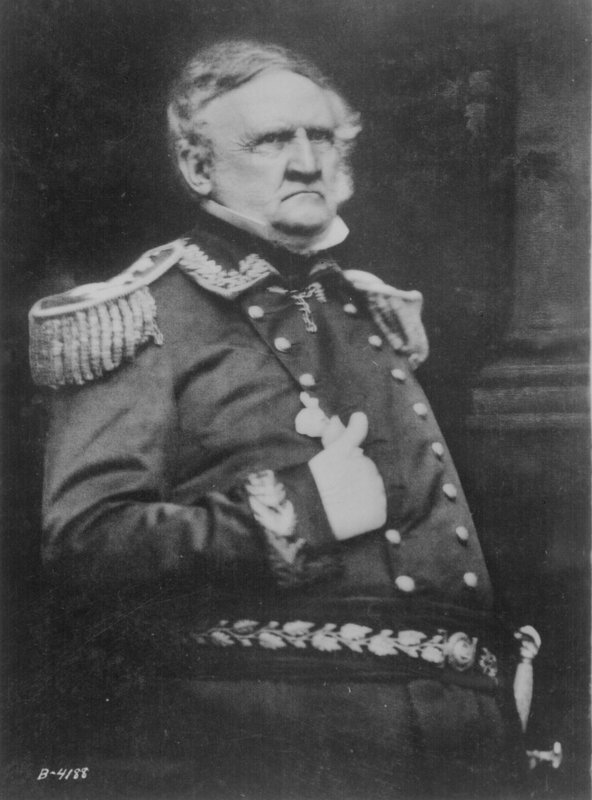 But, wherever I may spend my little remainder of life, my frequent and latest prayer will be, “God Save the Union.” Winfield Scott Aug 9 1861 Scott in a letter to Secy of War Cameron notifying him of his intention to request that the President place him on the retired list. From Reading the Man – A Portrait of Robert E. Lee Through His Private Letters by Elizabeth Brown Pryor. New York: Penguin Group, 2007. “is by far the most talented and scientific and at the same time the most vain and conceited. His comprehensive mind embraces not only different objects and ends but their general and combined bearings with regard to the ultimate objects. If you call on him for a past time, he may disgust you with his forthright and strong expressions, but if you call on him on business & military matters, then you may expect to call forth the mighty powers of his mighty mind, and upon information so obtained I would rather rely than on all the other officers in our armies in Mexico.